Teaching: Is it Art or Not? What does the art of teaching mean? When I did a Google search for the subject, the Art of Teaching, I came up with 160 million entries. There were articles on the art of teaching, a book entitled, Zen and Art of Teaching, academies devoted to the “art of teaching,” and a subheading under classroom management page of www.teachervision.com, called the “art of teaching.” I have been a teacher for nearly thirty-three years and believe that the phrase “the art of teaching” is something very real, especially to those of us who love this profession, generally easy to explain, and not very well appreciated or understood in our culture. Nevertheless, I am sure the 160 million entries on the internet would define the art of teaching many different ways. Here is how I see it. In his book, The Courage to Teach: Exploring the Inner Landscape of a Teacher’s Life, Parker Palmer writes a thought-provoking description of what a teacher feels. “I am a teacher at heart, and there are moments in the classroom when I can hardly hold the joy. When my students and I discover uncharted territory to explore, when the pathway out of a thicket opens up before us, when our experience is illuminated by the lightning-life of the mind—then teaching is the finest work I know.” Every good teacher can describe moments like this, times when students’ minds light up the classroom with perceptive insights, new ways to solve old problems, challenging questions that do not have simple answers, or humorous moments that momentarily suspend the learning. These moments are treasured memories for the teacher and the student. Parker explains that there is the flipside to this fairy tale view of teaching. “But at other moments, the classroom is so lifeless or painful or confused—and I am so powerless to do anything about it—that my claim to be a teacher seems a transparent sham.” In these seemingly helpless moments, everyone in the classroom could be perceived as the enemy. A good teacher understands that teaching is an organic process, a mix of good days and bad days. The good teacher finds a way to learn from both types of experiences, bringing back to the classroom a heightened awareness of how to teach well. 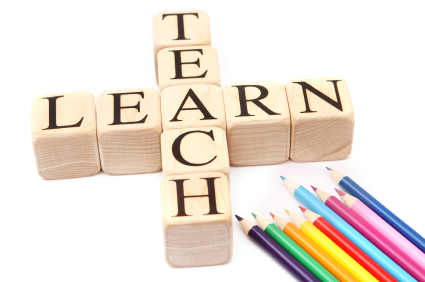 The art of teaching, like art itself, is comprised of many different factors; knowledge of subject, knowledge of teaching techniques, knowledge of students, integrity of the teacher and identity of the teacher. Contrary to what some educational writers believe good teaching cannot be condensed to effective techniques. When I speak with students about why their favorite teachers are effective, they respond with a statement that suggests the teacher instills into his or her work passion, charisma and often a sense of humor. A quote from a student at a former school sums this up for me: “The integrity that teachers put into their work brings us closer to excellence every day.” What a marvelous insight into the world of teaching. This student was able to express her understanding of the complex art of teaching in these simple words because she witnessed good teaching. Good teachers possess a strong capacity to connect with their students. Parker Palmer writes, “They are able to weave a complex web of connections among themselves, their subjects, and their students so that students can learn to weave a world for themselves.” Different teachers will use a variety of techniques to achieve this goal, but they all have in common the inner drive to connect with their students. Again, I draw on my conversations with students about good teachers, the common ingredient being they go beyond their craft by extending themselves with great generosity to help students learn and grow. In doing this they make a connection that allows the student to be receptive to learning. From my experience as a teacher, students are often afraid of failing, of not understanding the concepts, of being asked to participate in things they would rather avoid, of having their lack of knowledge revealed, or of looking silly in front of their peers. As a student, I remember those fears very clearly. Also, those fears are still with me in my adult life but manifested in different ways. Good teachers realize that some fears can be turned into opportunities for learning and growth. A good teacher is able to take a student’s fears and transform them from impervious obstacles to learning into moments of receptivity to learning. In the end, the art of good teaching is about inviting each student to affirm his or her unique voice. It is not about getting the student to conform to the teacher’s views or ways of thinking. The good teacher is helping the student find meaning in his or her words by asking good questions, requiring the student to probe deeper, or helping the student move between the concrete and abstract nature of the idea. Finally, every good teacher, like every good parent, is trying to help the student navigate a delicate balance between independence and discipline. For a student to learn effectively, he or she must be willing to explore the outer limits of understanding ideas. Helping a student become an independent learner is central to the art of good teaching. However, this journey requires the student to be highly disciplined in his or her approach. There are skills to be learned, knowledge to be acquired, and methods to be used. Good teachers know how to help students obtain these things without alienating the student. The tension between discipline and freedom is something a good teacher knows how to manage. My experience is that most faculty are well trained in the “art of good teaching.” I have witnessed their expertise in the classroom and hallways, on the fields and courts, on the stage, and in meetings. Thoughtful and caring educators are practicing the “art of good teaching” on many of our campuses every day.